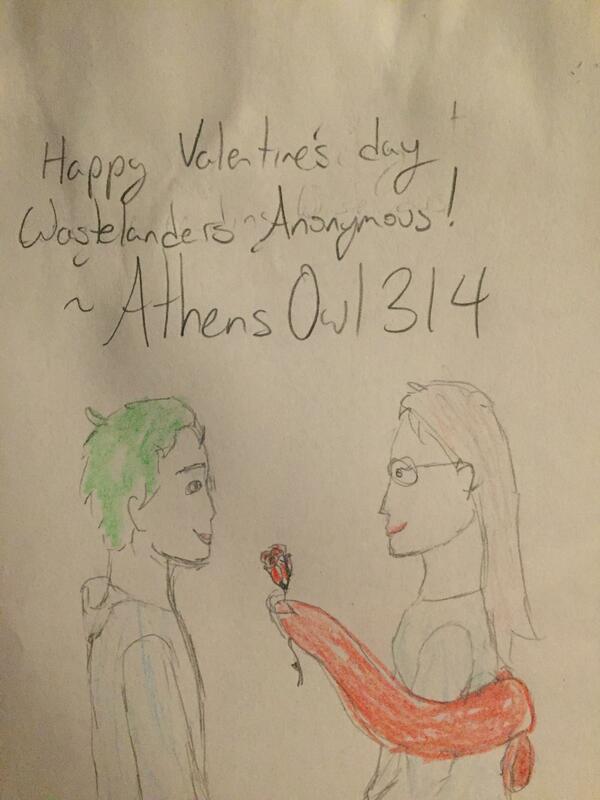 Hey, even more fanart from AthensOwl! Haha! Yup, topical! Some Valentines day goodness! The cast probably knows it exists. Probably. I could totally see Benny boy impressing Anne with his old school holiday knowledge- or Anne having more knowledge than him anyway and giving *him* something. Hah! Shaun just have be smug about everything, doesn't he? Shaun: "Yeah! Good going! I would do the same! Back then as well!" It's true, he doesn't get the full extent of what went down, but he's along for the ride now. Man, good thing the descendant of Walker wasn't me... the comic would be over in 400 panels. Are you thinking of blackmail now, Shaun? Oy. Nahhh! He's behaving, for now.